Oxette is addressed to those women who love fashion and perceive it as a means to express their personality. The range ofOxette’s collection satisfies every need and highlights both daily and special occasion outfits! Every single piece is inspired by international trends of art and fashion with an authentic approach, merging the differentiated style and shine with timeless elegance. The ideal relationship between thecreative design, quality and pricehas positioned the brand amongst the public’s prime choices. 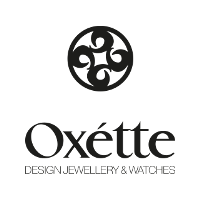 Oxette creations use sterling silver 925 and natural gem stones combining them with modern materials. It is one of the most popular brands in the international jewellery and watches market, with presence in Greece and in more than 20 countries.